Tragically, Lyne’s sister Michelle passed away at the age of twenty-four, and her other sister Antonya passed away at the age of sixteen. This ultimately led to severe depression. Nothing, however, prepared her for the pain she felt when her thirty-seven-year-old husband Nicholas died. Soon after, Lyne lost her sixty-five-year old mother Elaine, to Kidney failure. Incredibly, she never lost hope in God and therefore, she chose life over death. Regardless of a person’s status in society or how much money they have, grief and the grieving process affects everyone, in any culture. This is an incredible true story of overcoming depression, childhood abuse, and the death of loved ones. This book has touched the lives of many. And it will touch you. You are not alone in your grief and loss. Life isn’t over when you lose a loved one. You must capture and record precious memories. Comfort for overcoming the death of a loved one. Lyne and Nicholas John Reider married in 2004 and have five children. Nicholas went home to be with the Lord in November 2012. Lyne has spoken to adults and youth all over the United States. Please go to Contact Page to book Lyne for your next event. Do you enjoy Christian inspirational books? 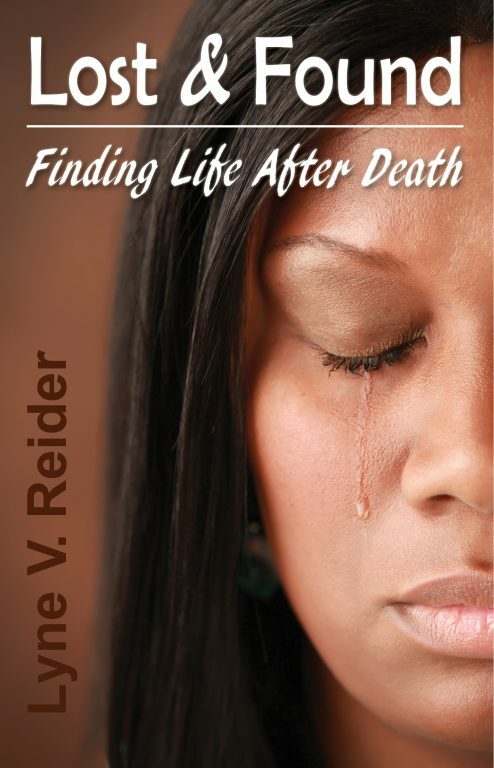 This Christian book is especially, but not only, encouraging for women who themselves have suffered loss in their lives. This Christian book is periodically offered for free download on your Kindle.